Zagga, a Gemini, born Austill Henry, was raised in Ocho Rios, St. Ann, Jamaica. He spent his high school years playing football and later on would dabble a bit with Electrical Studies before going on a complete musical journey. It didn‟t take long for him to realize his love for music; at age 10 he would always be tapping on the desktops to make different beats while in school. Encouragement came from family and friends who could see the potential in his natural talent. He began to cultivate his own unique style with the influence of Hip-Hop mixed with other genres of music including Reggae and Dancehall. In his early 20‟s, Zagga released his first mixtape “The Remix God”, which is a compilation of popular songs remixed with his own flavor. The mixtape was a success and was requested repetitively on popular radio stations such as ZIP 103 FM, HITS 92 FM and IRIE FM. “The Remix God” got over 2,000 downloads in its first week and received great reviews by disc jockeys, artists and fans. Ruption of RD studios who is a good friend of Zagga and fan of his music, heard “Island Breeze” on the “Island Vibes Riddim” via Facebook, and that triggered him to take the song to producer, Jordan McClure of “Chimney Records”. Jordan was impressed and before long Zagga was discussing a management deal with “Chimney Records” which would push him to make his move to Kingston, Jamaica to further his career. “It was a good feeling to get signed, and it feels even better when I see the kind of people I‟m around; they are good people.” Zagga stated when asked about his first management deal. 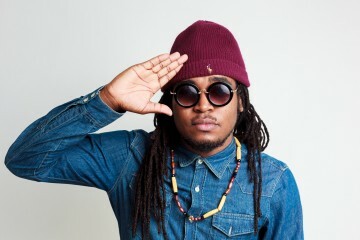 Since being signed, he has had quite an eventful journey with releases such as “Remember The Days” on the “Chill Spot Riddim”, “Never Give Up” on the “Tropical Escape Riddim” and “My Destination” on the “Rising Sun Riddim” which have been getting rave reviews and heavy rotation on the airwaves. One of his singles entitled “Change” (November 2011), was number 1 on a few charts in Europe. Zagga has also been working with a number of other producers including Markus Records, Cash Flow Records, Liv Up Records as well as Jugglers and Adde Prod out of Europe. He has also been in the media with a range of radio interviews as well as appearing on CVM TV‟s „Hitlist‟, Television Jamaica‟s „Weekend Smile‟ and „Entertainment Report‟; Jamaica‟s top entertainment programme which also featured his hit single „My Destination‟ at number one on their Top Ten chart for three weeks. These past few years of experience have afforded Zagga a considerable amount of growth; the artiste has gained more popularity and recognition for his lyrical prowess and versatility. 2014 saw the release of a music video for his hit song My Destination and a successful collaboration with internationally acclaimed reggae crooner Tarrus Riley entitled „Free Up‟. More recently, he has appeared on major Reggae events such as Rebel Salute, GT Taylor Extravaganza and Cream of the Crop. May 2015 saw him embarking on his first tour of Europe which yielded three sold out shows, making it a very successful venture. After almost a month, he returned to Jamaica to begin the Pepsi Refresh Tour which began on June 6. This tour had three stops and culminated at Reggae Sumfest on International Night 2 where Zagga delivered a memorable performance in the Pepsi Refresh Hour. Zagga continues to focus his energies into creating new music and developing his craft. “Never give up. Work hard and be patient, because what you put in is what you will get out” is Zagga‟s philosophy and his music continues to be a testimony of that. Please contact us at Jack Russell Music if you would like to use any of Zagga’s compositions for film, television, electronic media or covers.